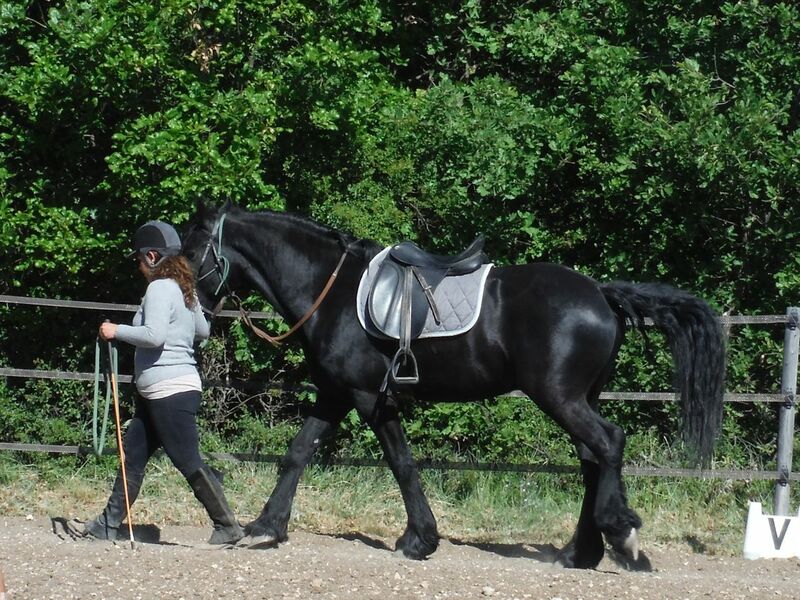 At the end of my last post about Tilou, I mentioned that he had discovered his own strength – basically, that it was possible to pull away from his handler while being lunged. Not a good thing – we had a 12.2 pony that used to do this and by God, it was like trying to hold onto a raging bull when she decided to go. 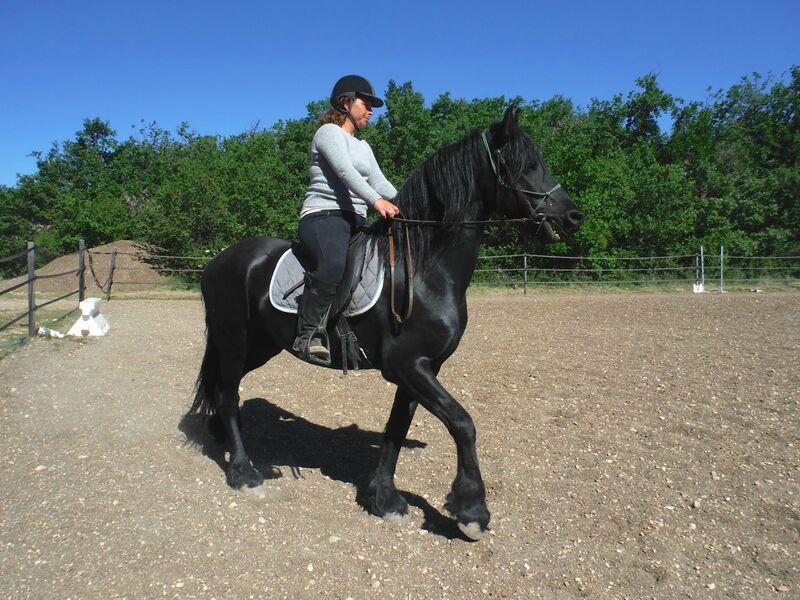 Alexandrine spent a couple of days working on lunging as a result. 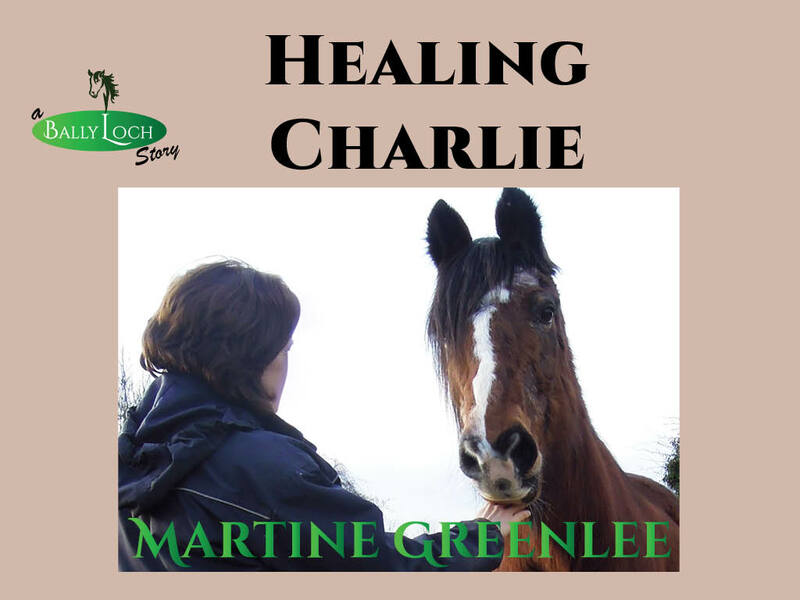 She worked him in the round pen and then in the big arena, but she did everything she could to give herself the upper hand when she took him into the big arena. 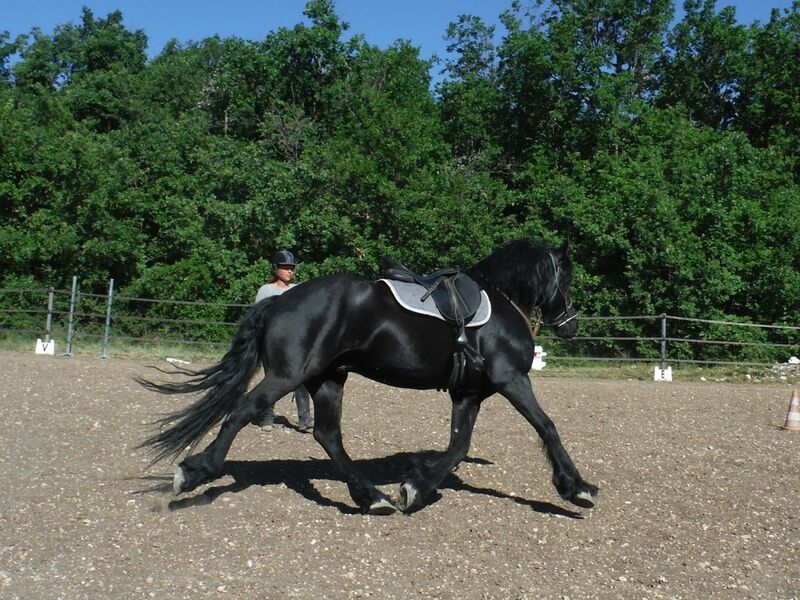 She attached the lunge line to the bridle – clipped to the bit ring, passed behind the ears and run through the bit ring on the other side. A severe arrangement, but Tilou had to learn that pulling away was A Very Bad Idea and she was happy that he had got the message. His ridden work continued, with N hacking him out twice during the course of those few days. The first day she rode him out, he reared and she fell off. 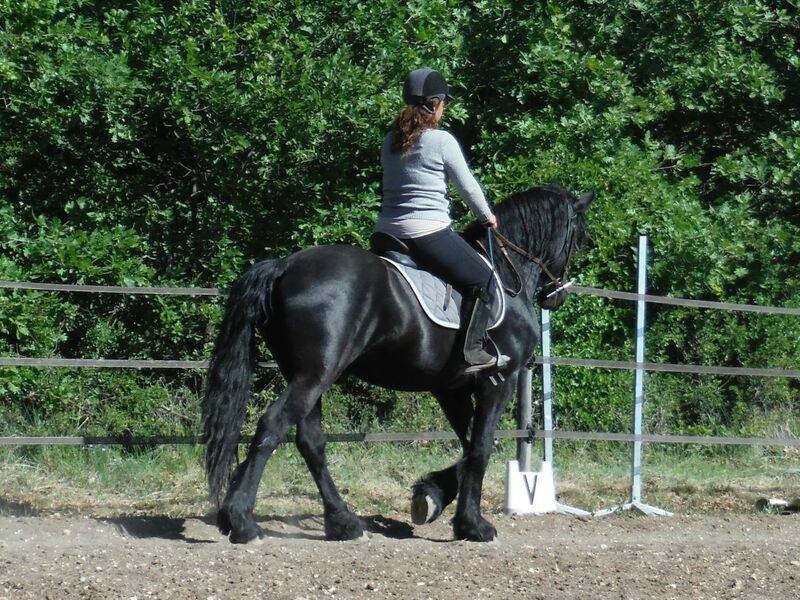 Oh no, I thought – he’s so smart, he’ll remember that’s how to dislodge his rider! But no, Alex assured me it was nothing. A tiny rear, N slid off, landed on her feet and got straight back on board again. And the next day, everything went perfectly. I had one final opportunity to sit in on a Tilou session before he left the farm. This time, N was truly flying solo – Alexandrine was away for the day at a clinic. 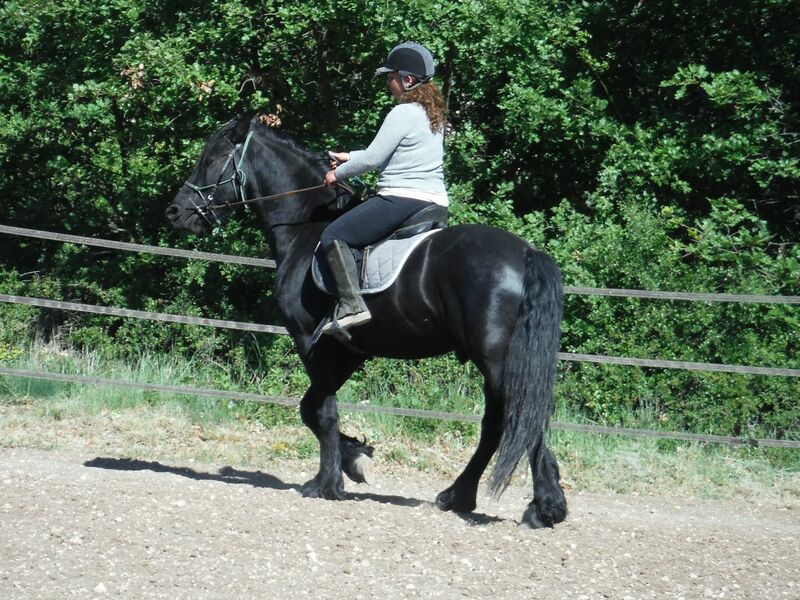 N is shorter than Alexandrine, so she struggled a little with the bridle. I was holding Tilou, hence no photos! But she succeeded eventually. Sometimes, failure is not an option. …and she stuck to walk and trot. 1. Ask the horse to back up a couple of step. 2. 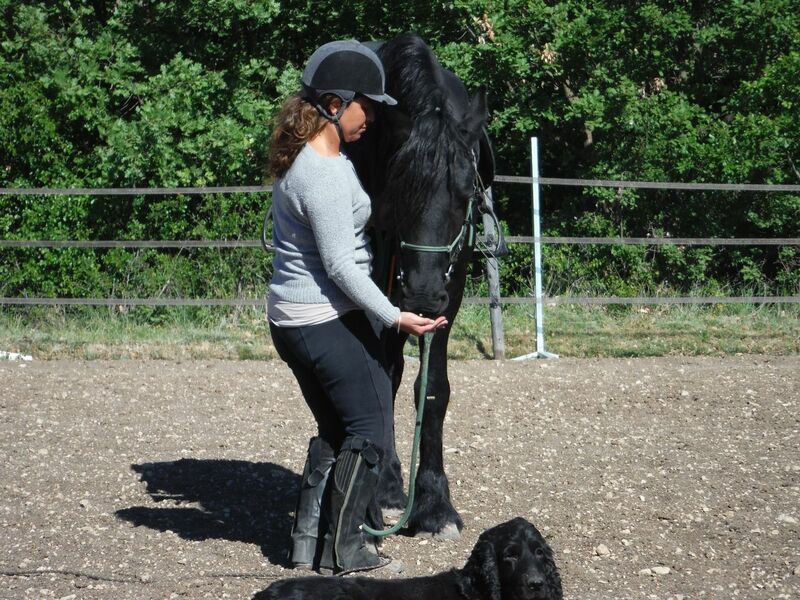 Show him the direction you want him to go by sliding your ‘leading’ hand along the lunge rein, e.g. if sending off to the right, the right hand shows the way. 3. 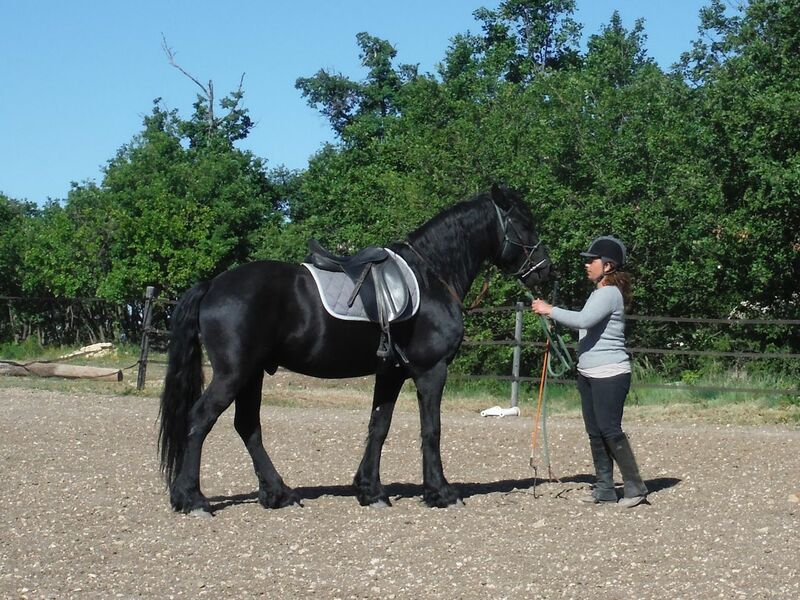 Push the shoulder by pointing the stick at it so that the horse moves forward (pushing the quarters is always a signal to disengage the back end and turn the front end into the handler). It wasn’t working, he kept turning in to her. She looked to me for advice. “Be a little quicker and stronger with the stick” was the best I could come up with, but it worked. She is still afraid of making a mistake and undoing his training, but I felt she basically needed to be firmer with him! After that, he tried to turn in a couple of times, always on the right rein and always at the same point. Anticipate it, I advised her. Send him on a little stronger just when you approach that point. It worked, and she finished the lunging part of her session quite happy. She practised some in-hand work, then. 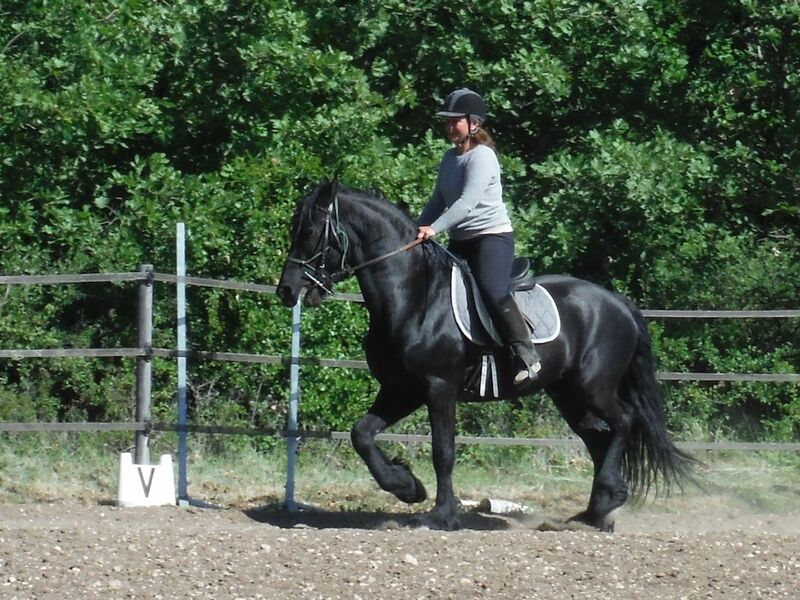 Still a bit fumble-fingered with the whip and the lunge line, but she’s getting more used to it. Then it was time to mount up. To be honest, I’ve seen so many young horses being fidgety to mount that I kept my camera down and was ready to come to her assistance. But the big thing about Tilou is that he really isn’t at all bothered by having a rider on his back, and he stood like a champ beside the block, waiting for the reward the he knew was coming. He has come a long way since Ace Jockey Roger was required! It’s about getting the message across and, when the rider is also new to this sort of thing, it’s about building confidence. I couldn’t stay for the whole session and I left hoping that N would finish well. Apparently she did. 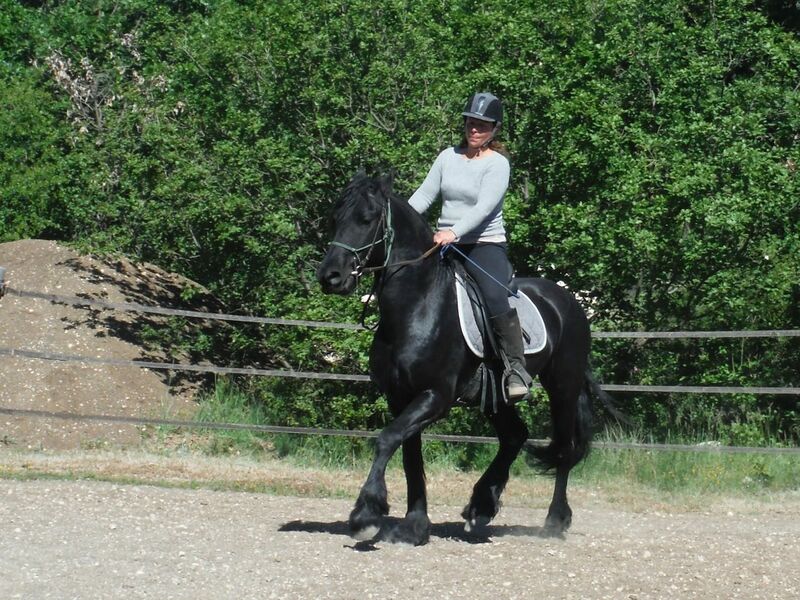 And the confidence continued to grow – two days later, she saddled up and rode him home through the woods alone. No fuss, no hassle. Many thanks to N for allowing me to follow Tilou’s story. Thanks for doing this series. It’s been interesting. Love the new breaker. 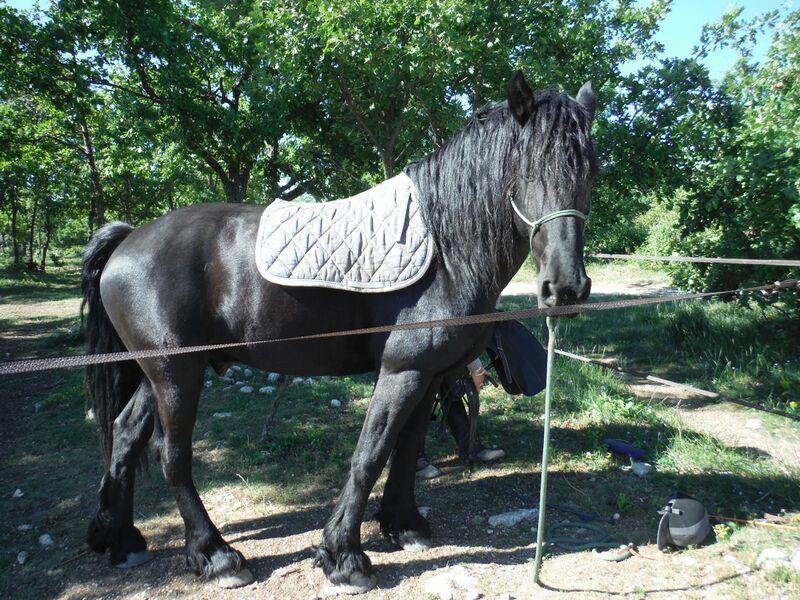 Pretty Appy, I didn’t think they had these types of horses in France. I always think more classical types. There is a huge interest in all things Western here. 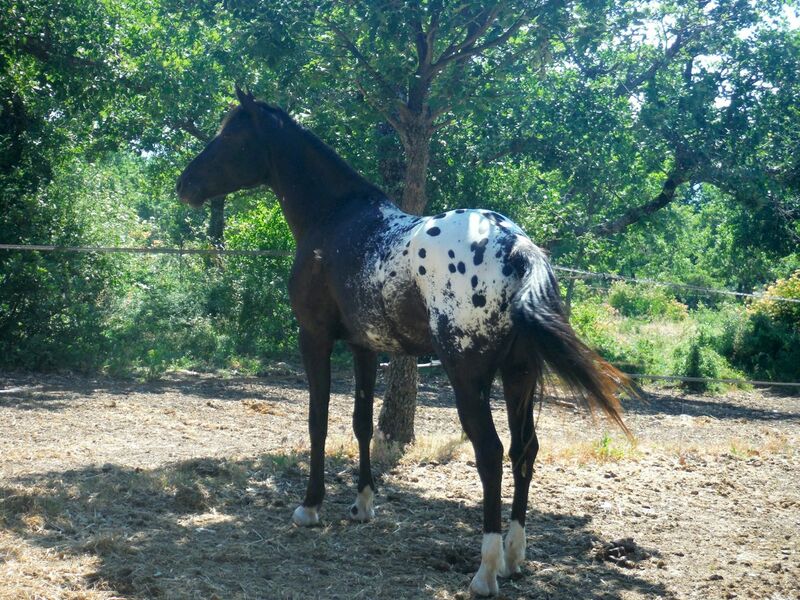 I actually love the variety, so many different breeds and types of horses compared to in Ireland. I really enjoyed your Breaker series, do some more if you can. Thanks!